What is the purpose of the NBTs? To inform the nature of foundation courses and curriculum responsiveness. Why were the NBTs introduced? and to provide alternative access to university in the context of the then-racially fragmented South African Higher Education system. In the 1990s, a further aim and use of the tests arose, which was to identify talented students whose Senior Certificate results did not make them eligible for selection to higher education studies. In the 2000s, the National Senior Certificate was introduced and the Higher Education sector also became acutely aware of its own challenges in terms of low throughput and high drop-out rates. Can you pass/fail the NBTs? It is not possible to pass or fail the NBTs. The tests provide an indication of the readiness of candidates for the demands of higher education. 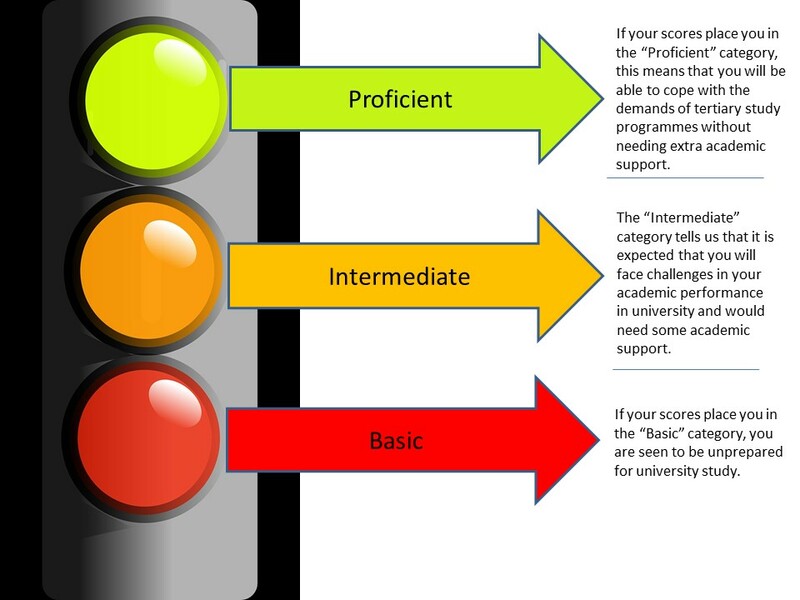 NBT scores place candidates within a benchmark category and each university (and sometimes, different Faculties within the same university) use these in a slightly different ways to assist with decisions about admissions, placement and teaching and learning support. “Placement”, in this instance, refers to courses or curricula that are put in place to assist students who require academic support. What does the ‘Benchmark’ in NBTs stand for? The NBTs assess and evaluate student test scores according to criteria that are considered appropriate for degree, diploma and higher certificate study at institutions of higher learning. These criteria are reflected in the benchmark categories of performance for each of our domains (Academic Literacy, Quantitative Literacy, and Mathematics). The NBT benchmarks are revised every three years, as part of good testing practice. what does each mean for students (parents and teachers)? what does each mean for lecturers? There are three benchmark categories for each of the three NBT tests which place a student’s test performance on the NBTs into: Proficient, Intermediate, and Basic categories. 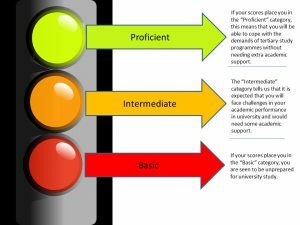 These benchmark categories provide information to universities about an applicant’s readiness for university and what kind of support the university needs to provide to students performing within these categories. The benchmarks enable students, and their parents and teachers, to assess at a glance their readiness for university. Students should evaluate their scores against the admission requirements provided by the university to which they are applying and be prepared to work accordingly. Through the NBT benchmarks, university lecturers are able to identify areas within the curriculum that need to be emphasised or amended in order to contribute to the academic success of their students. What is a diagnostic test? Educational diagnostic testing is a form of assessment that occurs before instruction begins. The purpose of administering diagnostic tests is to try to determine what students already know about the concepts and skills to be covered by instruction. Students, therefore, can use their NBT scores to request assistance or support for the academic areas in which their performance is weak, and their lecturers can use the information to develop teaching materials that respond directly to areas of weakness in their classes. What are some of the best ways to address the retention and graduation challenges faced by SA HE? The Council for Higher Education report of 2013, “A proposal for undergraduate curriculum reform in South Africa”, showed that graduation from a South African university in regulation time (three or four year degree) is at 27%, and that the student attrition rate stands at 40%. The NBTs are more relevant now than ever before. Their strong diagnostic ability can be leveraged to address these challenges of low throughput (graduation) and high drop-out rates by ensuring that lecturers are armed with the knowledge they need to ensure that students are retained and can succeed at university. What information is available to students (parents and teachers) regarding the NBTs? Exemplar questions for all three domains, available in English and Afrikaans. Educator’s booklets for all three domains, to assist in preparing learners, available in English, Afrikaans, Xhosa, and Zulu. A series of videos, aimed at educators, to assist them in preparing their learners for the tests. What are the National Benchmark Tests? The National Benchmark Tests (or NBTs) are a set of tests that measure your academic readiness for university. You will be tested on three domains: Academic Literacy, Quantitative Literacy and Mathematics. Academic Literacy and Quantitative Literacy are combined into one 3 hour test (AQL), which is written in the morning (from 8.30am) and Maths (MAT) is written for 3 hours in the afternoon after a lunch break. When and where can I write? There are 25 national test dates. The first test of the cycle was on the 26th of May, and the last will be on the 5th January 2019. We have many venues around the country. Visit our website to find our dates and venues. The NBTs are compulsory at some, but not all universities. If you plan to apply to a range of universities, it would be safest to write the NBTs so that you have the scores if they ask for them with your application. If you plan to apply to just one or two universities, you should check with them to find out whether the NBTs are a requirement. Should I write before or after applying to university? That depends on the university. Some only require you to have registered for the NBTs when you apply to the university, while others need you to have written by the time you apply. This is important, as you don’t want to send an incomplete application to a university. Check with them to find out what they need. You only need to write the Maths test if you plan to apply to a course that requires maths (like Commerce, Health Sciences, Science, and Engineering). If you’re unsure, check with the university you’re applying to. You are not allowed a calculator during the Maths test, so make sure you know how to do the simpler calculations without one. Don’t worry: the questions are asked in such a way that a calculator is not necessary. A formula sheet and paper for working out is provided. No marks will be given for working out and there is no negative marking. Everyone writes the AQL. Academic Literacy can be compared to Comprehension. You will be given texts similar to those you’d be faced with in university and asked about your understanding of them. Quantitative Literacy can be compared to Mathematical Literacy. You will be given graphs, tables, etc, to interpret and asked real world problems. All the questions are multiple choice. The AQL has timed sections of between 25 and 30 minutes each. The Maths does not. How do I prepare for the NBTs? We don’t make past papers available. Any organisation that claims to be preparing you for the tests is not really doing so, as their courses are not endorsed by us and they have not seen our tests. If you are unsure of any of your maths concepts, make sure you clear those up with your teacher beforehand. Making sure you know how to read and interpret graphs and tables, etc, would also be helpful for the QL part of the AQL test. Check in on test day is at 7.30am. You’ll start writing at 8.30. Lunch will be at approximately 11.30 until 12 and then you’ll write from 12 until 3. We usually advise parents to fetch at about 3.30. If you’re going to be writing both AQL and MAT, make sure you pack a good lunch. Your day will be long and tiring and you’ll need sustenance! You can’t, strictly speaking, fail the NBTs. Your scores place you in a benchmark (see our website for details) and each university and sometimes, different Faculties within each university, use your scores in a slightly different way. Check with them to find out which benchmark you need to get into for them to consider your application. Remember that these scores are used in conjunction with your NSCs, and also that most universities will not use the NBTs to exclude you. Many of them use them to decide on the kind of academic support you’ll need after you’re admitted. 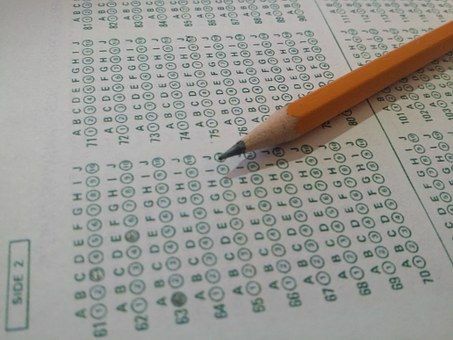 If you really feel you could have done better on your first try, you may write the tests again. You may write twice in one year. Again, though, check with the university to which you’re applying: some accept your best scores, while others will only accept your first scores. Please visit our website for more details. Look particularly at the “Applicants” and the “About” tabs. We cover all your FAQs there. All the very best of luck to you all and please don’t hesitate to contact us via our Facebook page. Is there still time to write the NBTs?